One of the pillars of CS Sfaxien’s league (where Esperance’s four-year hegemony was ended) and CAF Confederation’s Cup double last year, the 22-year-old was a refreshing let’s-take-a-breather component amidst the “Arab’s Juventus’” high-octane football. Stationed next to the more destructive Ibrahima Ndong in midfield, the unseasoned double-pivot played with the youthful energy and freedom of expression that coach Ruud Krol had indoctrinated, enchanting many neutrals in CS Sfaxien’s triumphant 2013. Their coalition allowed CS Sfaxien to dominate the midfield against infinitely more experienced teams on the continent, with their defining duet coming in the first leg of the CAF Confederation Cup final against TP Mazembe where they dominated a seasoned midfield that included Tresor Mputu, Nathan Sinkala and Gladson Awako. Ndong is the more complete of the two, but it is Ferjani Sassi who is more eye-moistening, supplying the large proportion of the artistry. Tall, fleet-footed, and blessed with the patrician grace that makes the game of football look remarkably easy, it is understandable why the tag of “the Arab Pirlo’ has descended upon his shoulders. His biggest strength is his passing and flourishes of fleet-footedness, but he can tend to over-do the latter; meaning, at times, he can lack the wider-picture perspective to unlock defences. 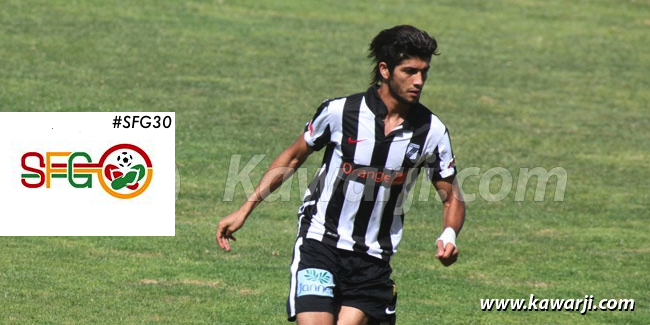 Now lurking on the borders of the Tunisia national team first XI, he still needs chisel his all-around game if he is replace the likes of, say, Khaled Mouelhi as the playmaker of the team. Even in his best games, his passes can be miscued and/or underweighted. As a result of those deficiencies, he can’t assert himself on games to the extent of higher calibre playmakers can when they’re in that zone of Zen-like composure. There are definitely good foundations there to work with, though. His ability to glide past defenders in the languid manner that is rapidly becoming extinct at the highest level already makes him one of the most watchable players in Africa.